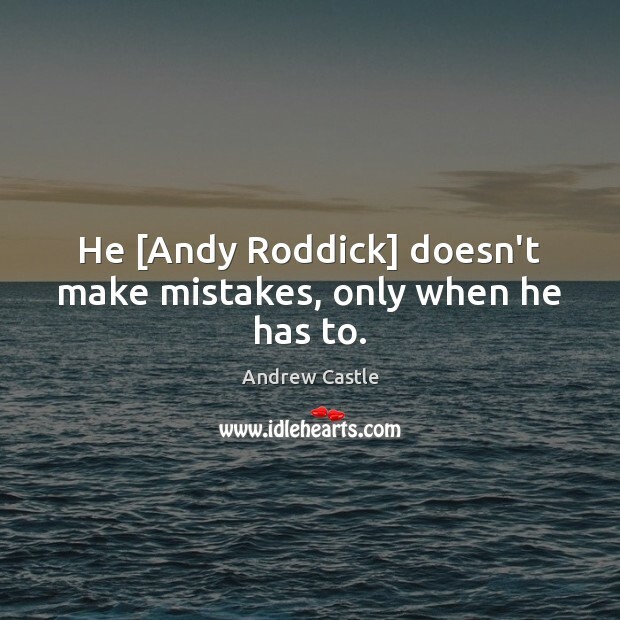 Enjoy the best inspirational, motivational, positive, funny and famous quotes by Andrew Castle. Use words and picture quotations to push forward and inspire you keep going in life! He [Andy Roddick] doesn't make mistakes, only when he has to.